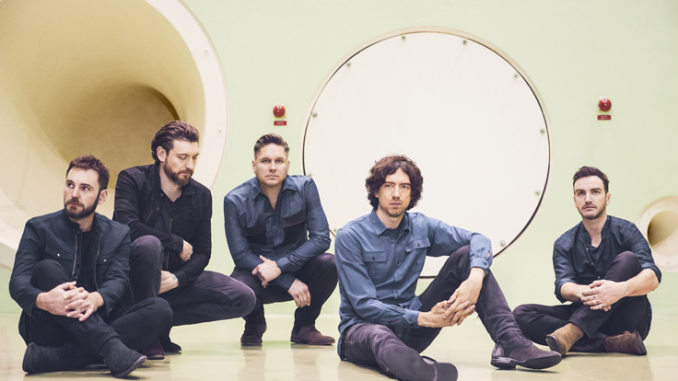 On May 25th, Snow Patrol will return with Wildness, which finds the band searching for clarity, connection, and meaning while staying true to the melodic songwriting prowess that brought them to prominence. Wildness taps into something raw and primitive. 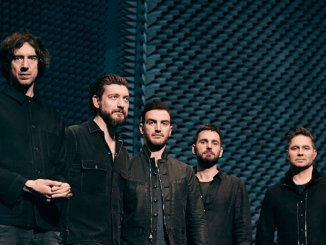 Since their 1998 debut, Songs for Polarbears, Snow Patrol have racked up an impressive number of critical and commercial accolades, including 15 million global album sales, 1+ billion global track streams, five UK Platinum Albums, and are Grammy, BRIT Award and Mercury Music Prize nominated. After their Fallen Empires tour ended in 2012, band members —which includes multi-instrumentalist Johnny McDaid, guitarist Nathan Connolly, bassist Paul Wilson, and drummer Jonny Quinn — decided to take a step back from the band, and focus on their own projects. 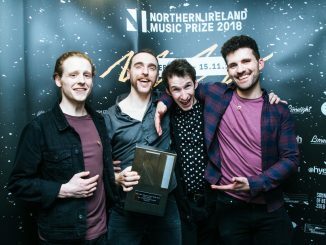 Mark Millar spoke to guitarist Nathan Connolly about the recording of Wildness and a possible Ward Park, Bangor return to complete the trilogy. It’s been seven years since the last Snow Patrol album Fallen Empires afterwards, you all went off to do other projects. Was the long break planned or did it just happen? NC: It certainly wasn’t planned for that length of time no. We decided to take a break definitely – maybe a year or two was the plan to regroup, focus and do other projects. We had done a decade of non-stop work with four albums and four large tours. We needed the time to collect our thoughts, and we had a fantastic time doing all those things, but it felt right to take a step back and get some clarity and focus on what we wanted to do next. That involved doing other projects and other bands and writing for other people – which ultimately I think was the healthiest thing we did because by the time we got back to starting our seventh record everyone was ready and excited. We had a few false starts; we had quite a lot of sessions that were spread apart, so that also was two years of making the record although not all the time. I think In hindsight, whether it was all meant to be or whatever alchemy that came together that made all that happen was for the best. I think everyone is now in the perfect place where we may not have been ready to present the new record and be out playing it a year ago, but we are finally thrilled to be doing it now. 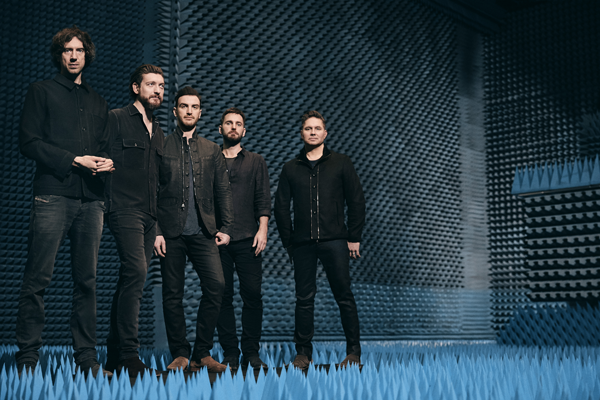 Wildness has a very different spacious sound compared to previous Snow Patrol records. Was it a conscious decision between the band to move away from the anthemic sound you are known for? NC: The space you are talking about was definitely something that we all felt individually before we even decided to speak about it so we all agreed and that that was something we collectively had been thinking about. As far as stepping away from anthemic songs the new songs are still big on melody, so I guess that’s just part of the fabric of who we are, the songs will always be melodic – but yeah we definitely wanted to change it up plus we’ve all had different experiences writing and doing other projects during the break, so I guess we have brought some of that with us. When playing and working with other people, you absorb different attitudes and influences, so I think all of that was at play. It’s still a big production, but we left out the kitchen sink this time. I assume the songwriting process was different this time around. Did the songs come quickly once the band got together? NC: Yes, it was different this time. In the past, most of the songs are started by Gary Lightbody on the acoustic guitar, and he will either send them around to see how we feel about them or we will demo them with Garret (producer/mixer Jacknife Lee) and put down parts. With Wildness the core songs came very much from Gary as the lyrics always are. We have got better it’s our fifth album with Jacknife Lee, so there is a process that we understand although we tried to do it differently with short bursts of sessions rather than locking ourselves away for three months in the country somewhere which we have done in the past. Because of that, there were conversations to approach the new album differently than we had before and all those things however subtle or significant they may be will change and influence the record. As you have previously mentioned album is produced once more by the great Jacknife Lee, Snow Patrol’s longtime producer, and collaborator. Some bands when searching for a new sound might go with a different producer. Why did you choose to work with Jacknife Lee again? NC: We did consider working with someone else like we have in the past as well on the previous record but we are very comfortable with him, and we know how he works and I guess yes there is a danger of producing the same thing or a different version of the same thing, but his knowledge of music is insane. We always come out with a better understanding of music when we work with him. He’s done so much in the past and learned so much himself and gained so much experience he just felt like the right person especially from some of the projects we had heard his work on before our album. Working with him again was still fresh and exciting, and we were comfortable which I said can be dangerous but there is a familiarity and openness there. We are also all a bit older now so we can communicate better (laughs) we have all grown up during the seven-year break, so our relationships are different. The record is an evolution of our sound. Because of that was it an enjoyable experience recording the new album? NC: We went to Garrets home recording studio this time which is up on Topanga Canyon. Its a small studio but it has a fantastic amount of equipment so it felt different and we weren’t locked in a basement or a dark studio for an extended length of time which can affect you. It was enjoyable aside from the fact of the struggles that Gary had been openly talking about and our personal lives and also the pressure we put on ourselves. For me it was enjoyable, I was able to be able to concentrate easier on the guitar. I don’t want to say it wasn’t stressful because there are always stresses making a record but my experience of it was excitement and the joy of being back together. I think that was true for everyone in different ways. Do you worry about trying to stay relevant in today’s music environment? NC: I don’t think we’ve ever thought about that. I think we make the music that we make. Yes, we are aware of music climate, and we are all avid fans of listening, collecting and discovering music. Yes, you can argue that things will influence you and I guess just being open to your surroundings you are going to be aware of things but I don’t think we have ever actively engaged in trying to be mindful of that and follow trends. We make the music that we do. I guess people will make comparisons or think that it feels part of a thing, but we were never a part of a movement or a scene. We listen to all sorts of music from new and old and take inspiration from far and wide. 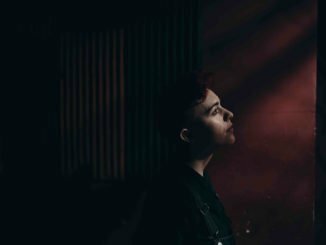 How did the recent Irish shows go? Did the new songs go down well? There are rumours of an outdoor show in Belfast next year. Can you confirm anything now? NC: There will be rumours but we always said we would like to do another big gig at home. We would like to, and we want to, but there’s nothing to confirm or deny at this stage. People always talk to us about playing at Ward Park in Bangor and ask for us to play there again – we would love to do it. It’s unbelievable that both Ward Park shows seem to mean a lot to people so it would be nice to complete the trilogy. Snow Patrol has been doing this for 20 years now. Looking back do you have any particular highlights? NC: There are so many great experiences that we’ve had and places played. On the last record, we got to do a slightly more extensive tour of America previously we had only been to Mexico – I enjoyed that a lot. Getting to places like Buenos Aires, Santiago, Chile and experiencing the slightly different reactions from the crowds was just incredible. Playing home is always great – I know we say it all the time but its true Ward Park itself was an experience and pretty unique – at the time the second show was the biggest show ever in Northern Ireland, but I would imagine Ed Sheeran has beaten us to that just recently. (laughs) We have supported U2 over the years which was great because most of us were fans growing up. On the spot that’s a few, I can think of. NC: I have so many – I collect a lot of vinyl which is all in my place in London. I have a section of about thirty which are my go-to records off the top of my head it includes – Captain Beefheart – Blue Jeans & Moonbeams, Pearl Jam – Versus, Jeff Buckley – Grace, Van Morrison – A Period of Transition, U2 – Achtung Baby, and anything by Nick Drake. My Bloody Valentine – Loveless is another one it doesn’t seem to age. I don’t know how many copies of that album I have bought over the years and gave to people who have never heard it. That’s a few I return to. Its great having records that remind you or centre you or reinvigorate – I think that’s why people have those records. NC: Let me look up Spotify on my phone. A friend of mine recommended a band called Goat which I’ve started listening to – its pretty mad and I’m looking forward to getting into that. There’s an artist called Roosevelt which I’ve started getting into. There’s a great Scottish guy who released an album last year called C. Duncan – that was an excellent record. I know when we were making the record Garret introduced us to some new artists – there was Here Lies Man who is an LA band are just thrilling and super exciting. An Australian artist called Alex Cameron and Kirin J Callinan and Garrets daughters were listening to lots of stuff – they had so many great records they introduced us to King Gizzard and the Lizard Wizard who are amazing and Alex Lahey a great singer-songwriter from Australia I went to see recently in Belfast. That’s the only new music I can find on my phone at this point I hope that’s enough.